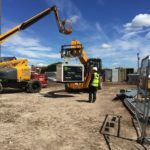 The construction industry depends heavily on reliable power. 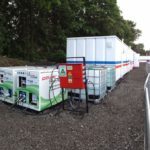 Reducing operational costs as well as improving environmental credentials are high on the agenda. 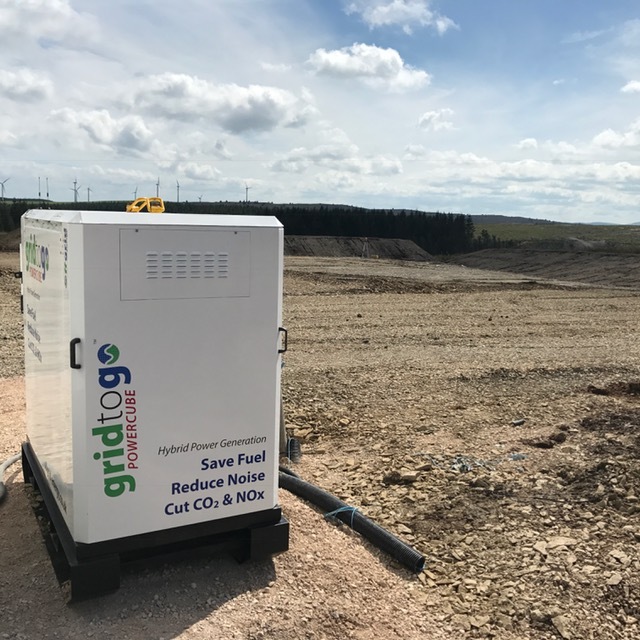 The introduction of initiatives such as the NRMM (Non Road Mobile Machinery) directive and a drive for air quality improvements are all things that focus on how the supply of power can be ensured in the most effective way possible. 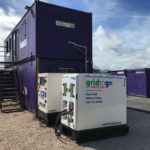 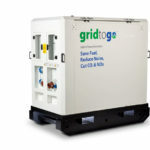 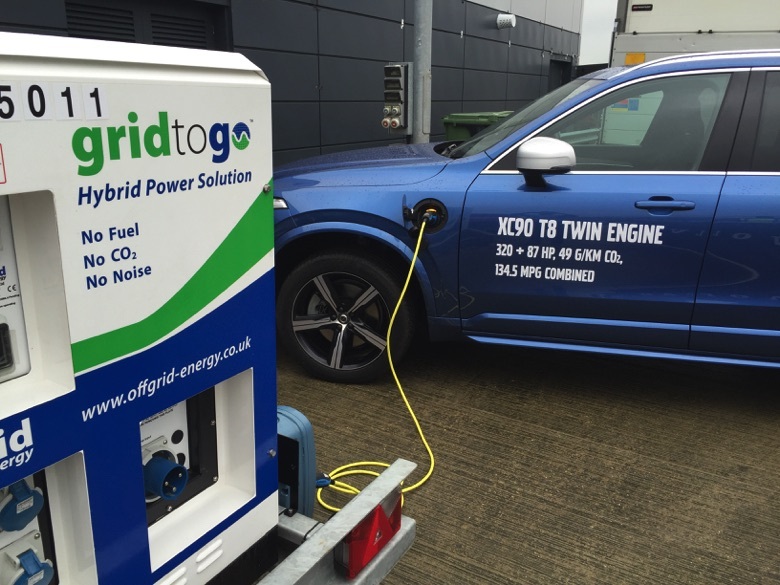 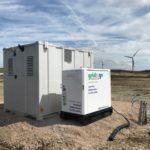 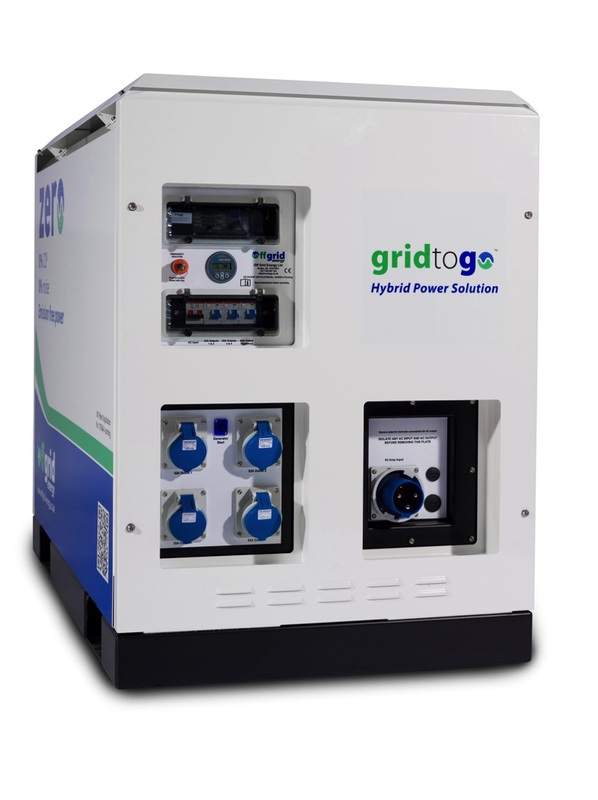 Where temporary grid power (TBS) is available, hybrid power can be used to store spare energy at quiet times (over night for example) and then provide a boost in the available power when needed. 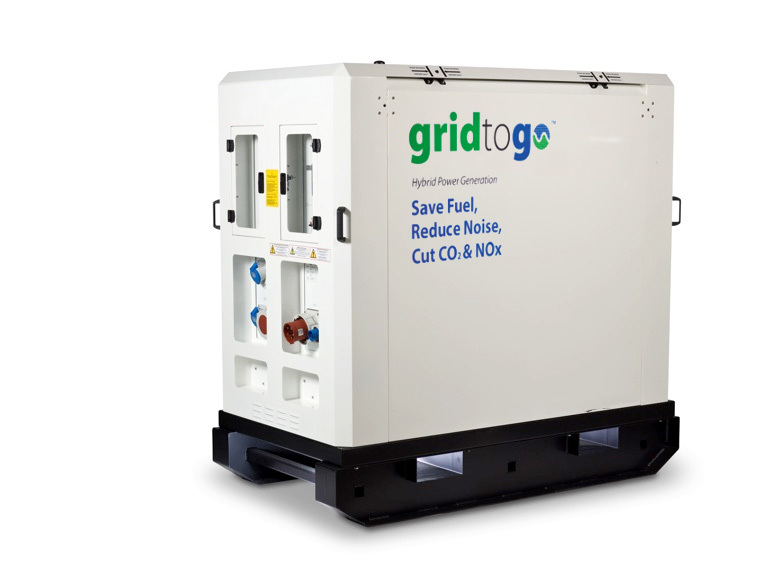 This is ideal for running cranes and hoists where the grid is insufficient on it’s own. 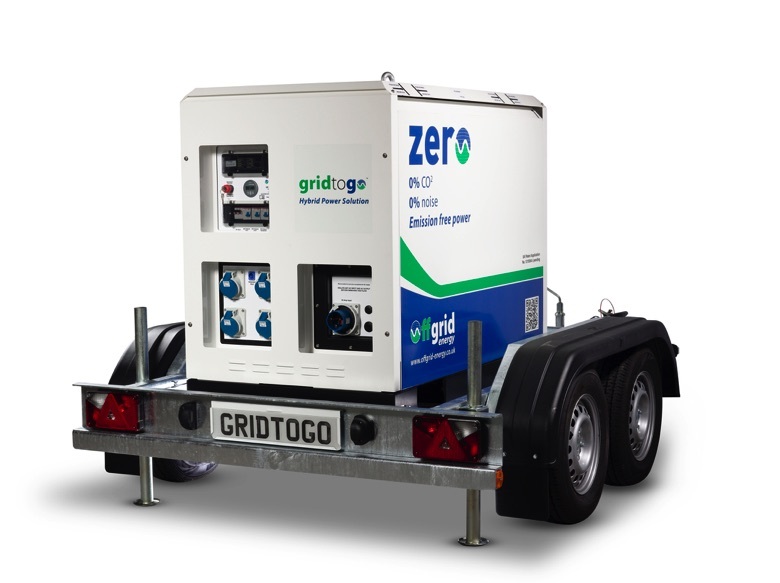 In other situations, hybrid power will enable the size of generator needed to be reduced as well as allowing periods when the generator does not ran at all. 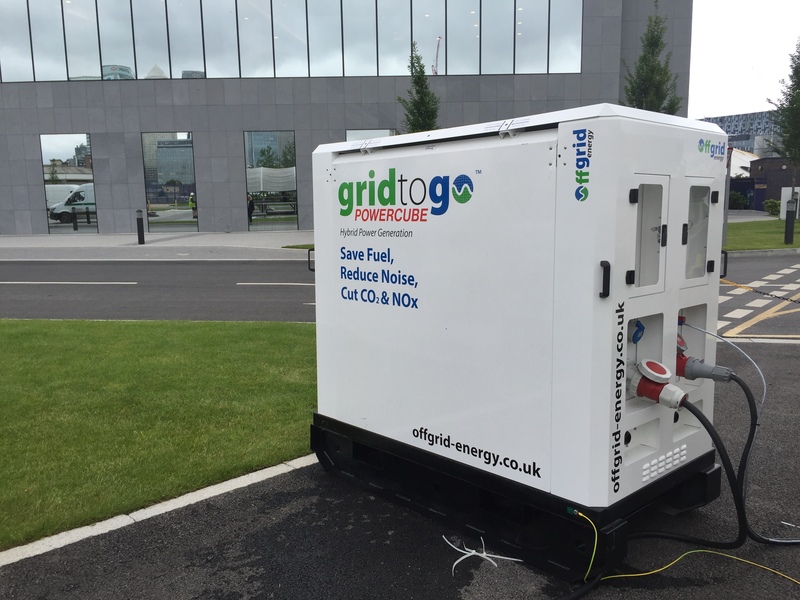 This way you have 24 hour power without the noise of a generator all the time. 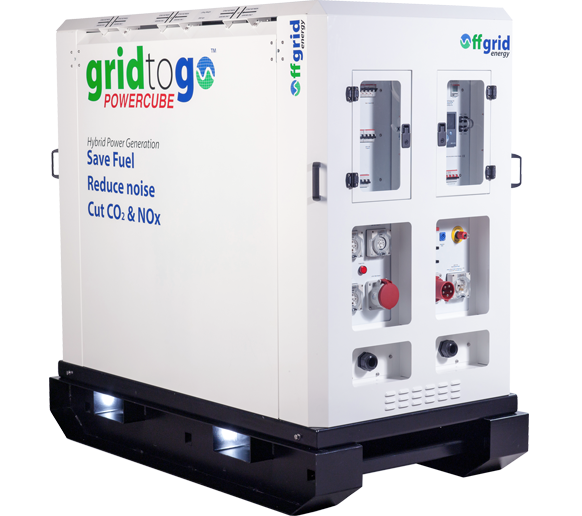 You also will save fuel and so reduce pollution and carbon emissions. 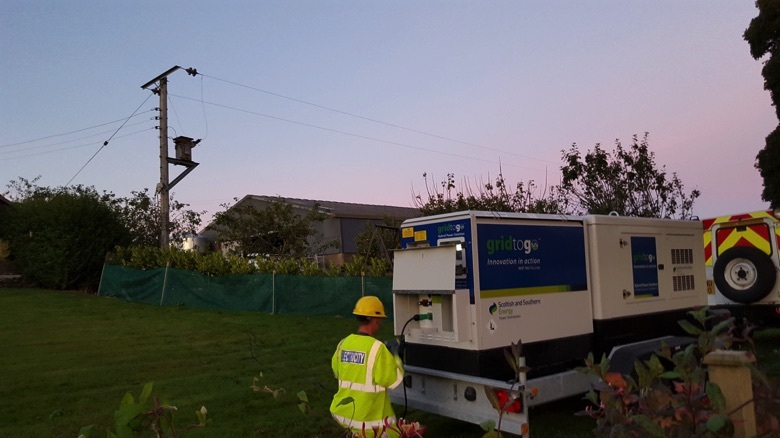 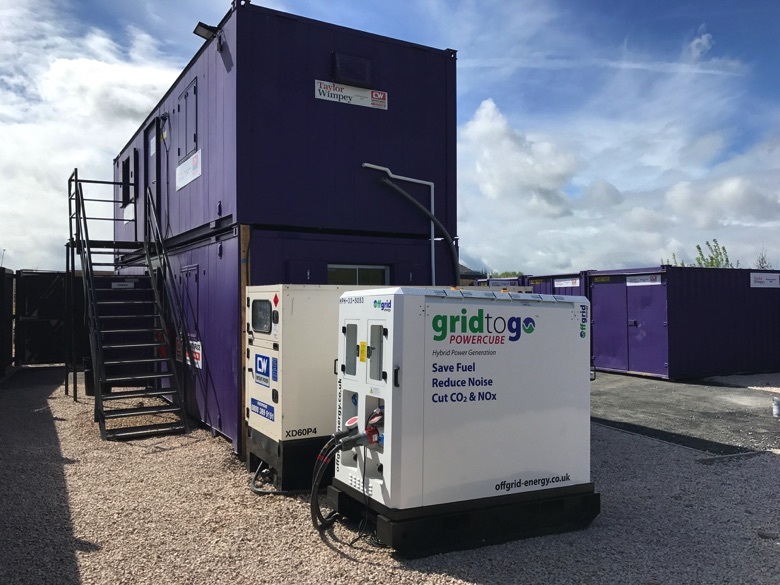 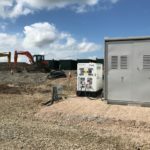 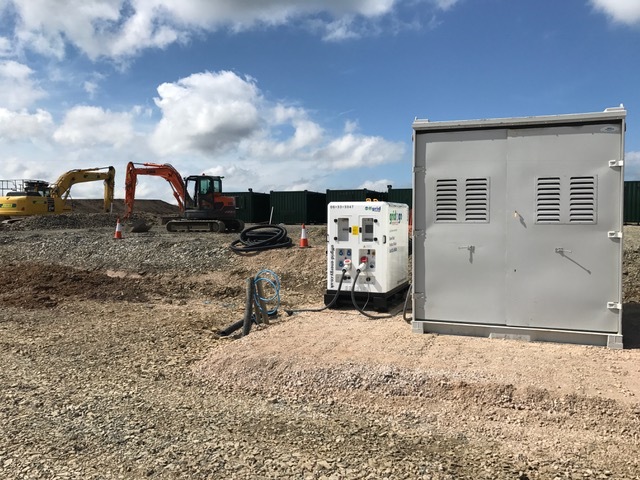 Where noise is an issue, such as sites close to residential areas, our hybrid power systems ensure electricity can be available 24/7 without nuisance. 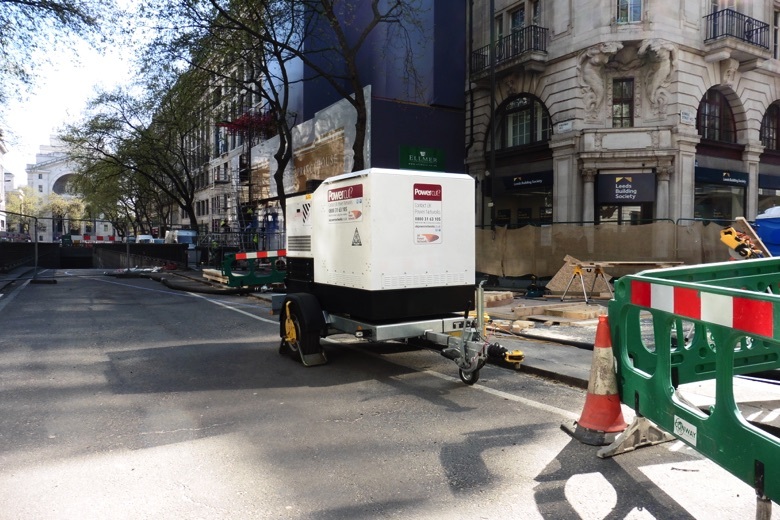 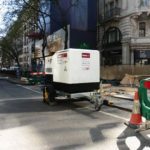 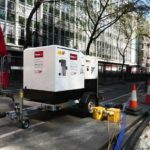 Generator running can be managed around specific times of day and days of the week to ensure you always have content neighbours. 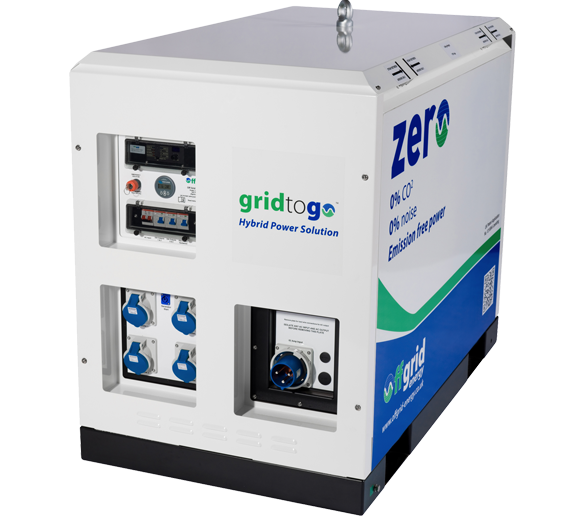 Available in models from 400VA to 3kVA and with battery capacity from 740Whrs to 5kWhrs. 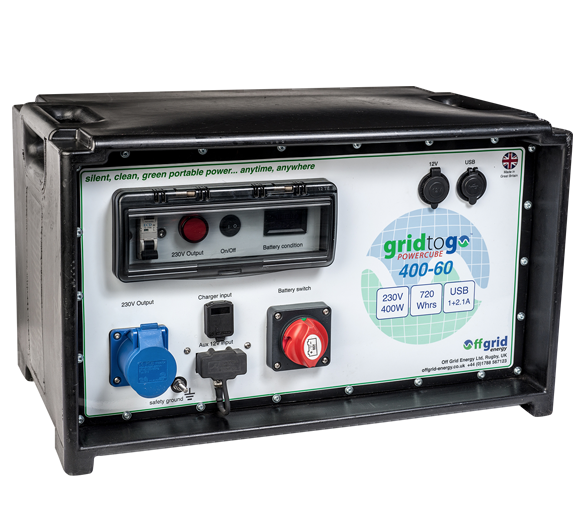 Hand portable, ruggedised, solid state, silent power supplies. 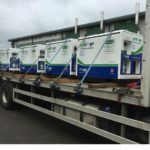 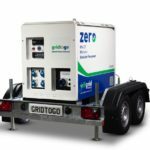 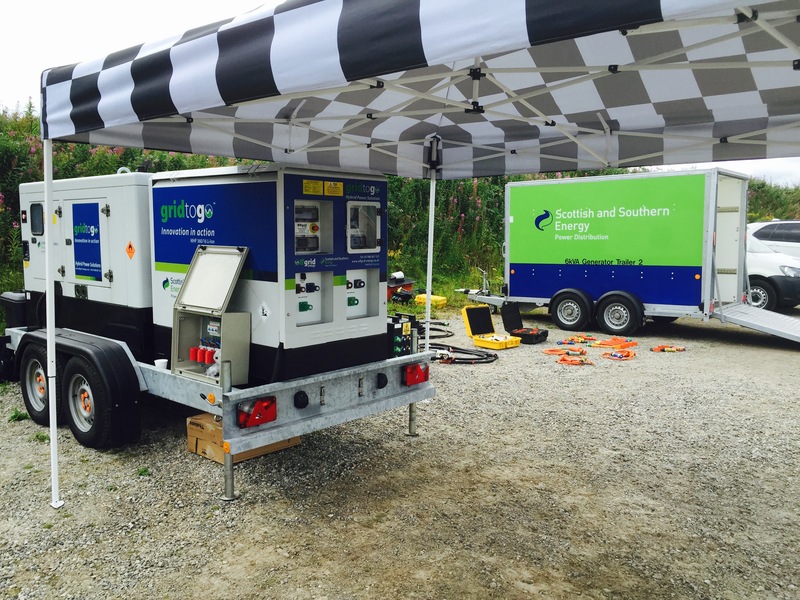 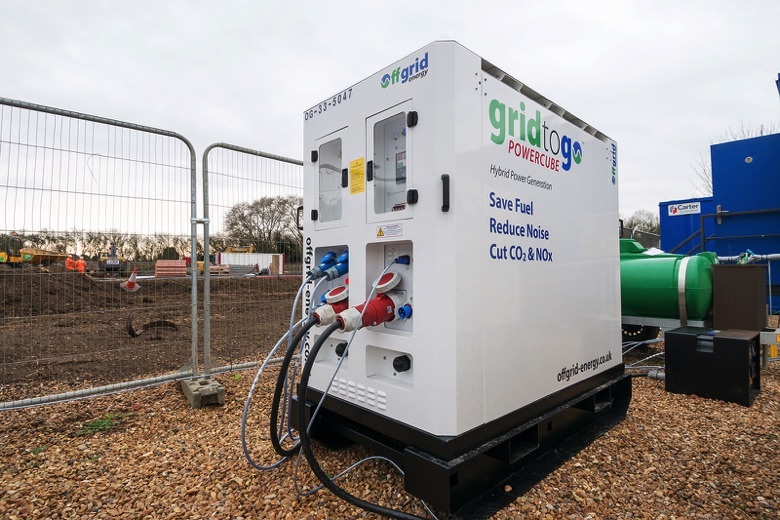 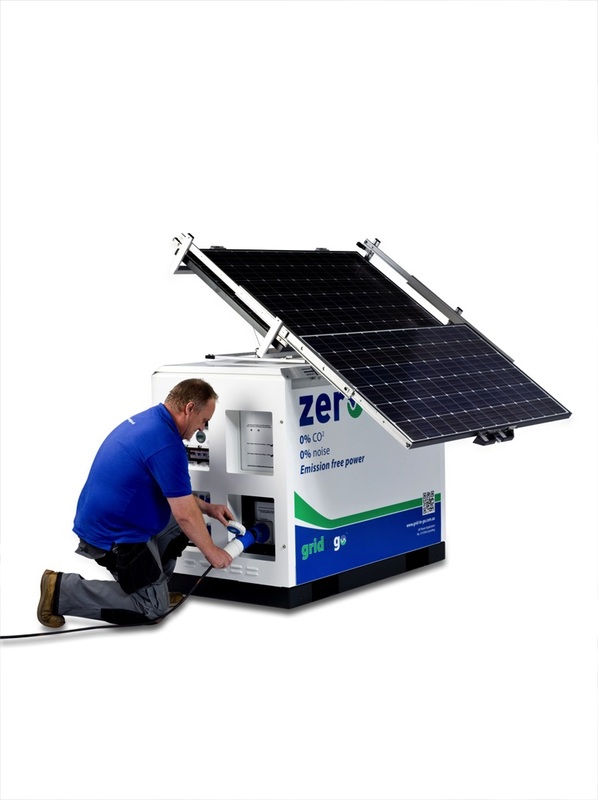 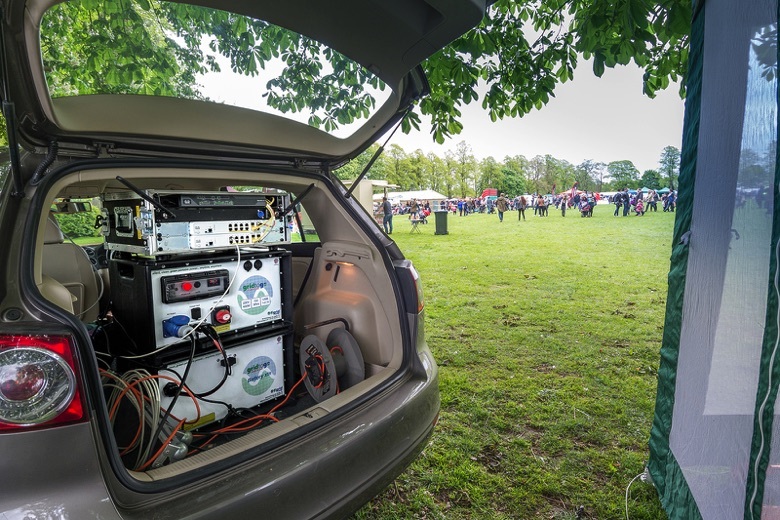 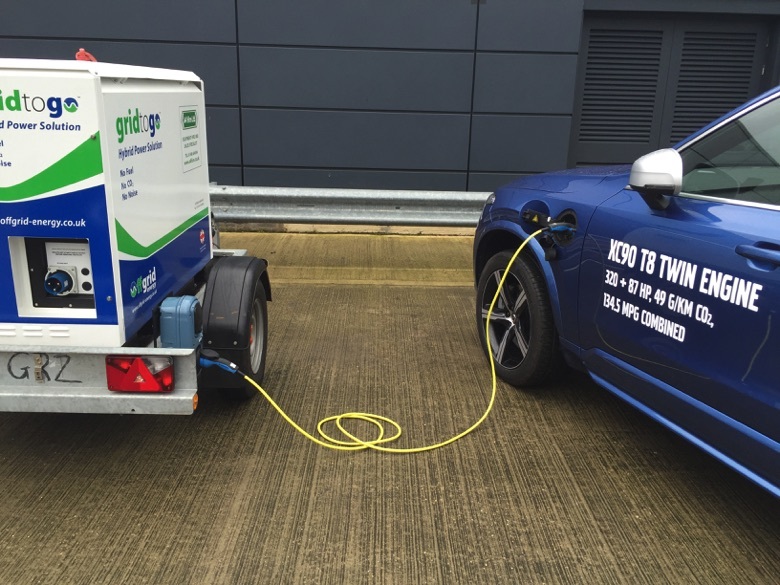 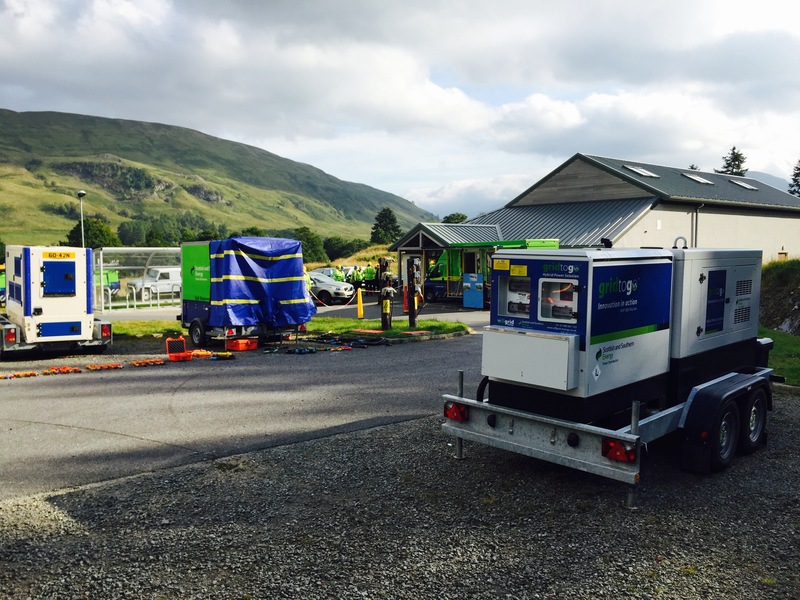 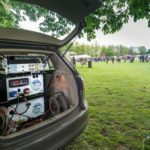 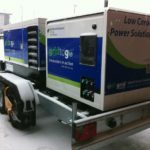 Either an alternative or a complement to portable petrol generators. 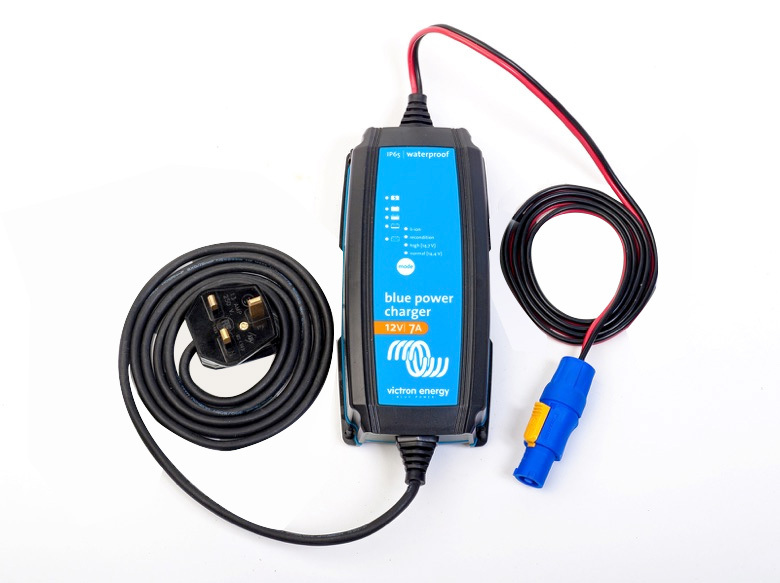 The nano series are ideal for power tools, computer equipment, lighting,recharging battery appliances, medical, A/V & communications equipment and much more. 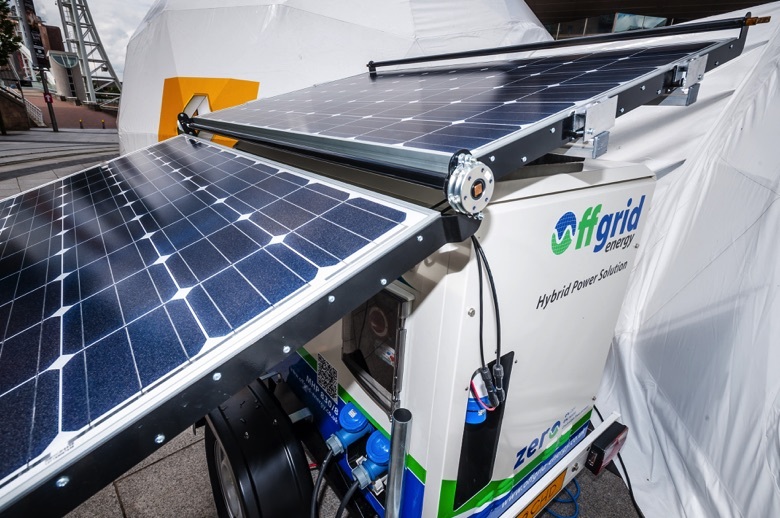 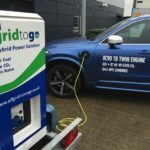 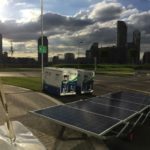 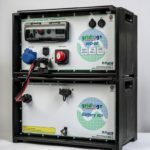 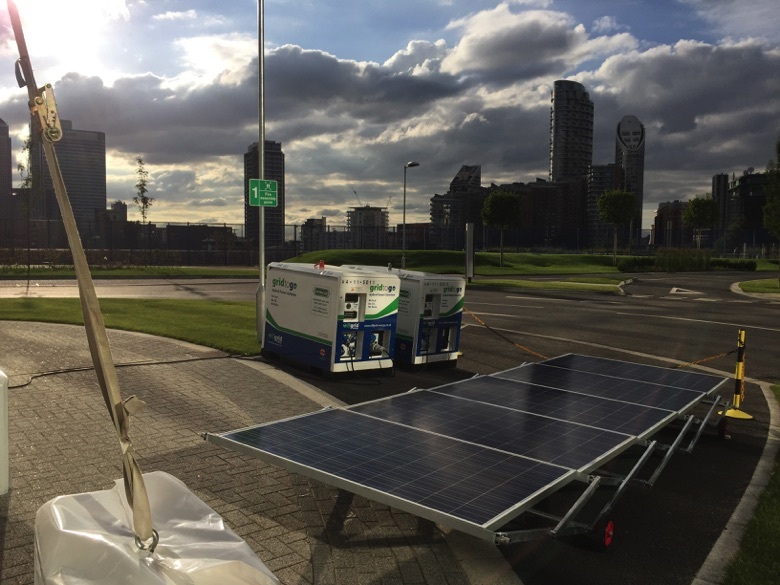 Accessories include solar PV charging kits, in-vehicle charging kit, trolly base, connection and cable sets. 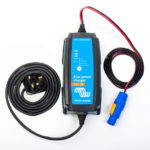 Please see our rate card for a full list of models and options. 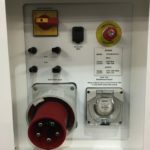 This is available on request. 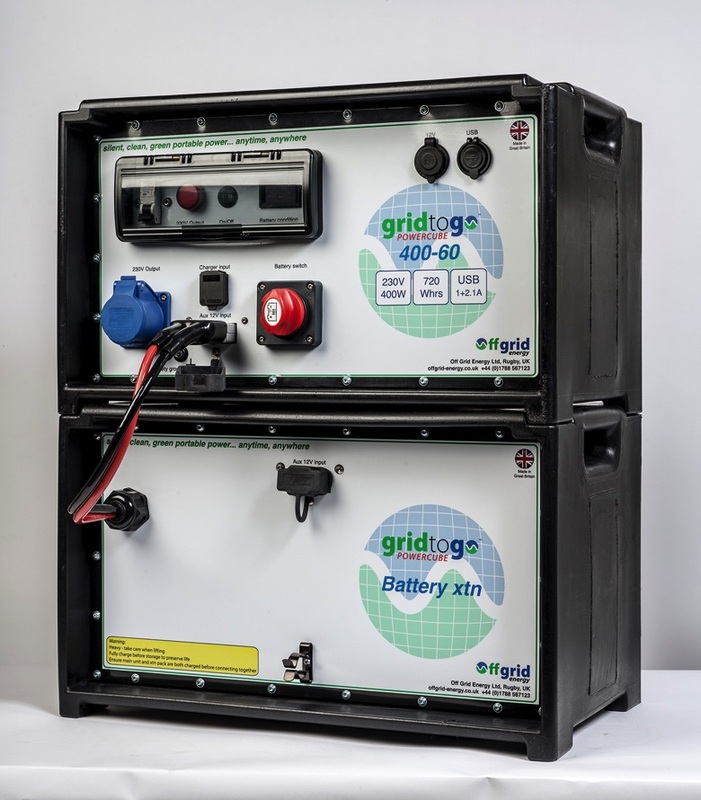 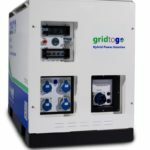 With power outputs from 5 to 30kVA at 230V or 110V single phase AC and battery capacity ranging between 15 and 60kWhrs, our single phase range provide higher power and stored energy capacity. 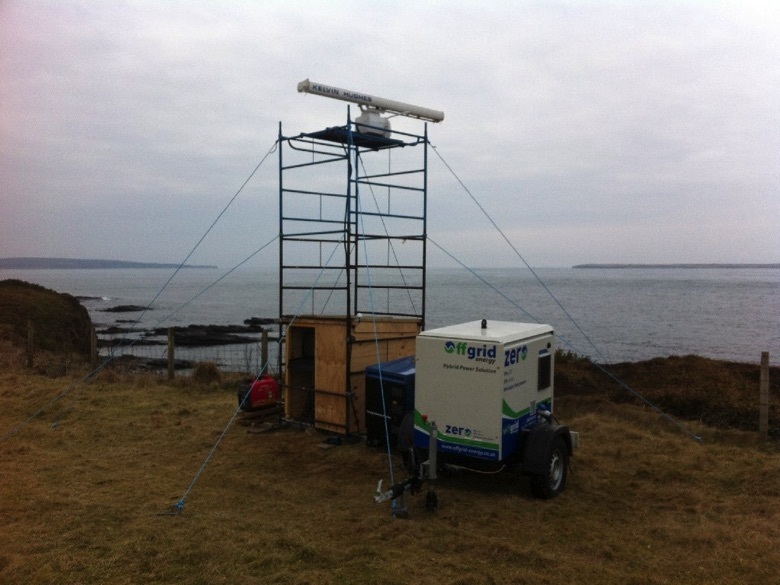 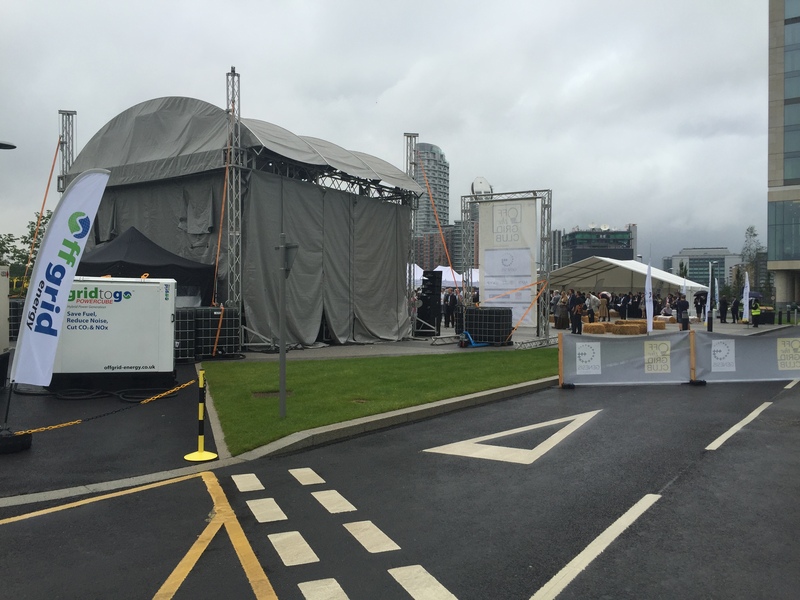 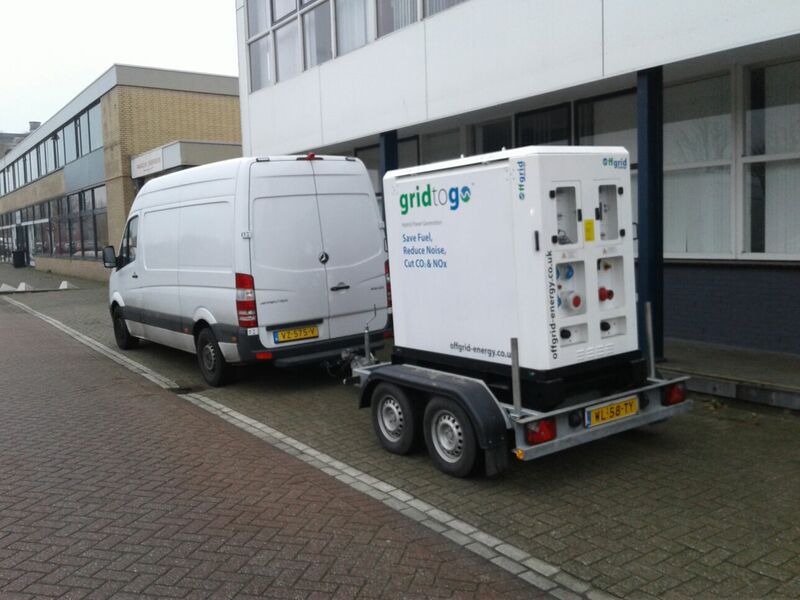 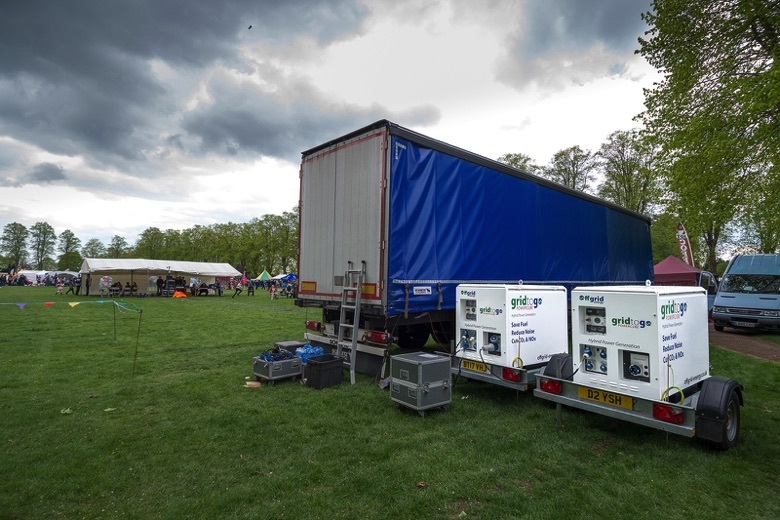 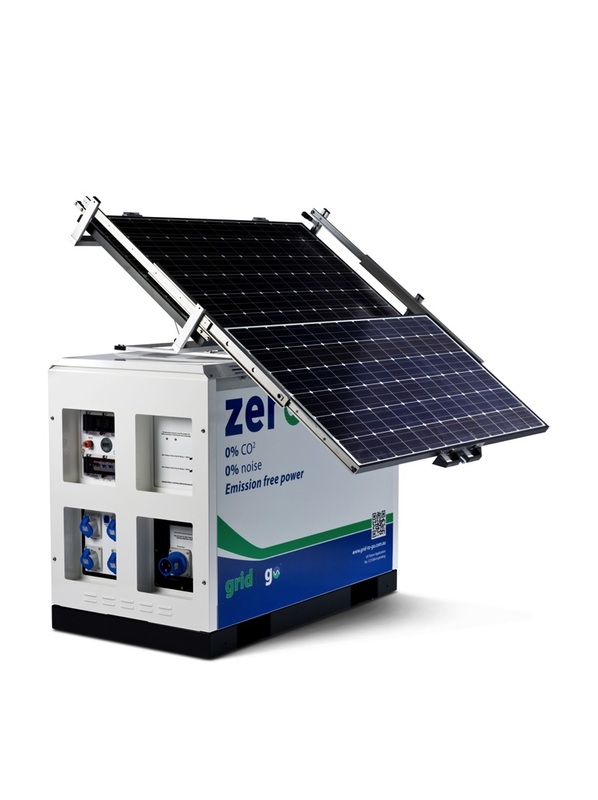 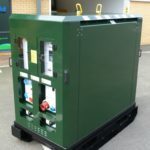 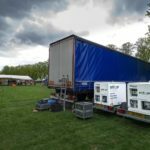 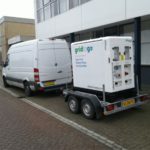 Suitable for powering one day events on their own or together with solar PV to support extend use. 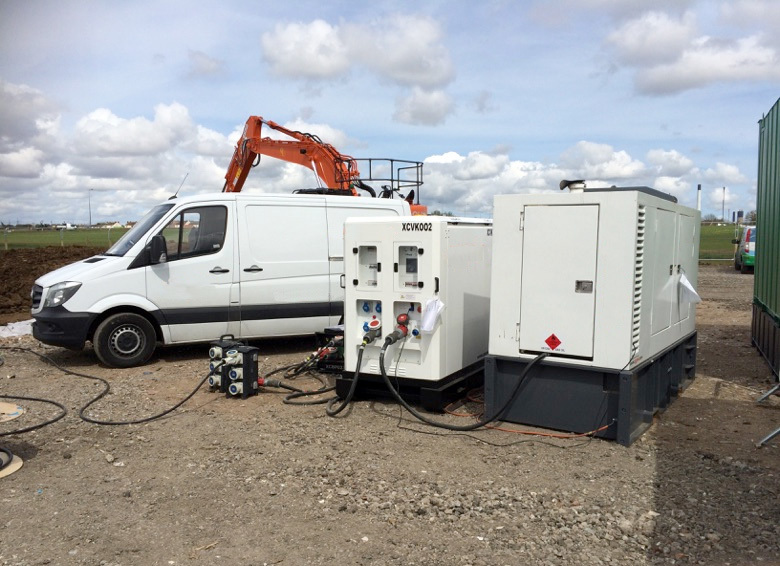 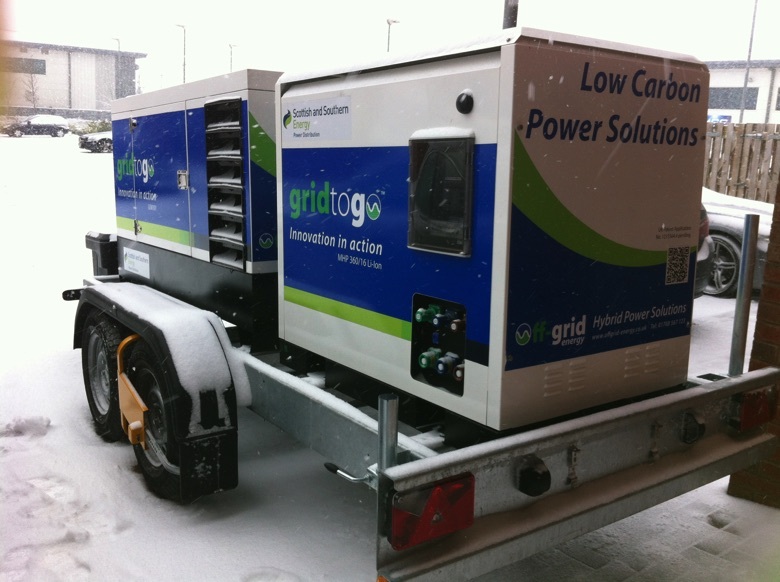 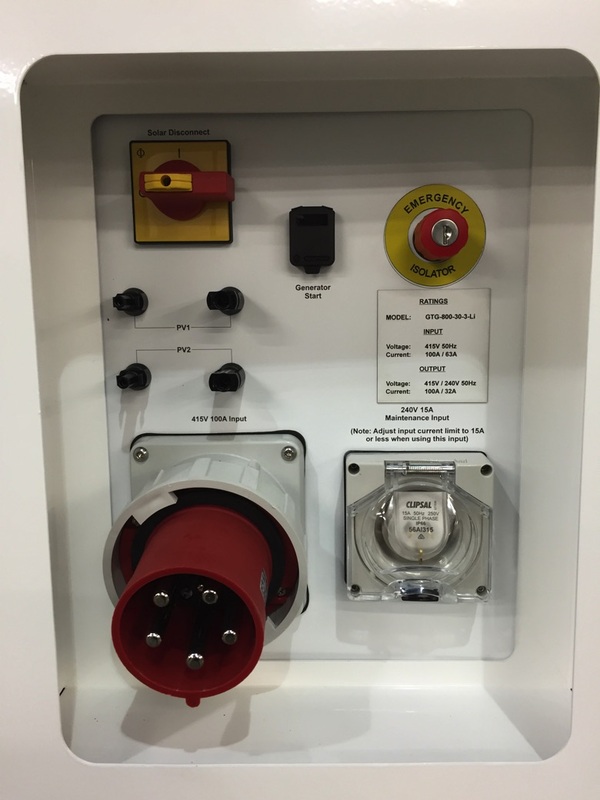 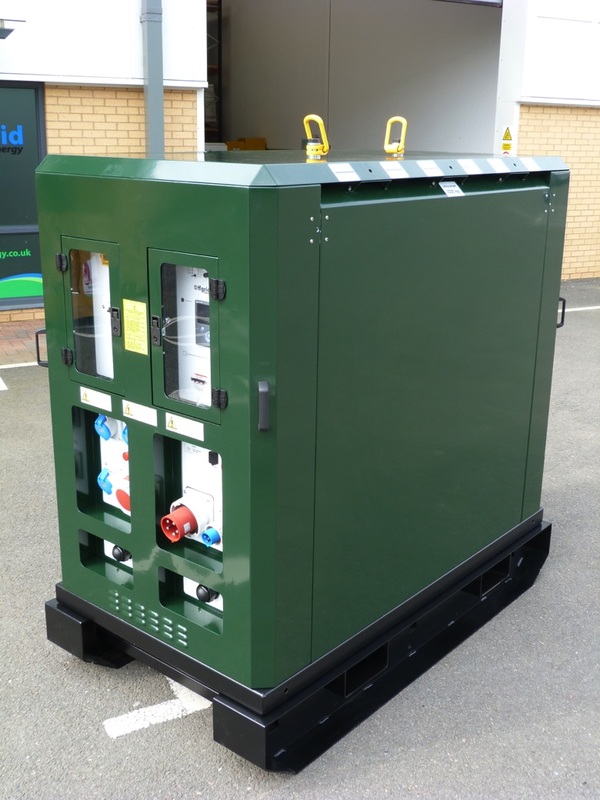 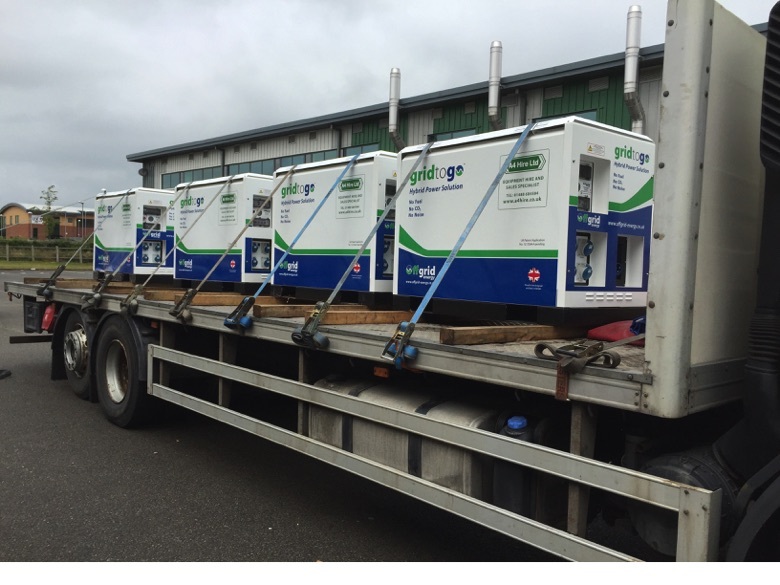 Units can also be used to support limited mains power supplies or to be used with a diesel generator. 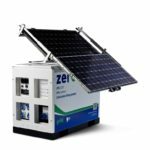 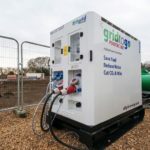 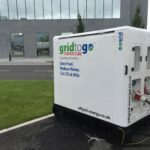 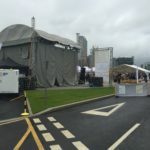 Security cabins, emergency power supply for homes, utility work, dedicated welfare loads, individual EV charging or remote monitoring are all typical examples of applications to which these units are ideally suited. 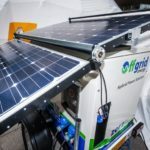 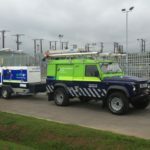 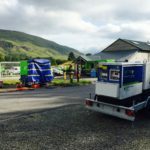 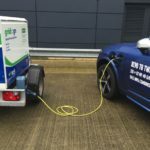 Accessories include solar PV charging kits, road tow trailer, earthing, connection and cable sets. 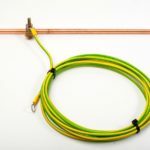 Suitable for cascade connection for higher power and capacity. 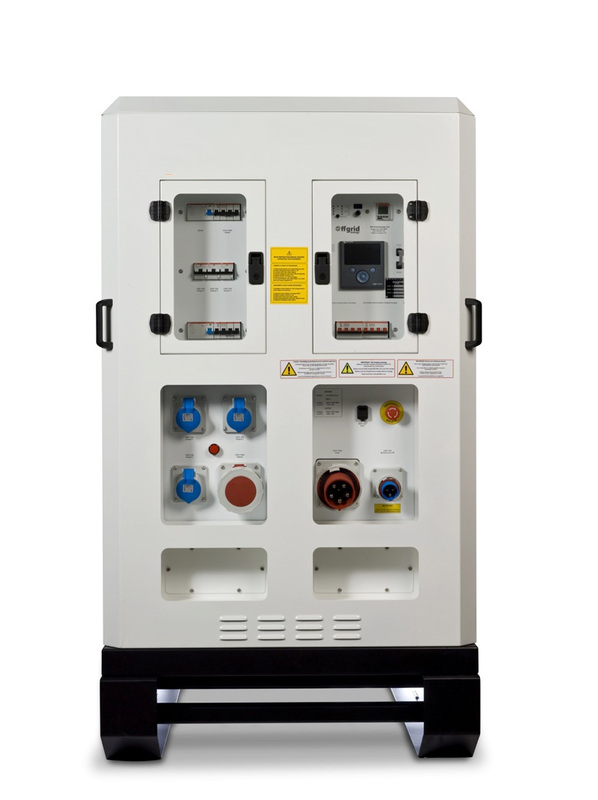 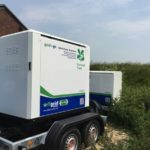 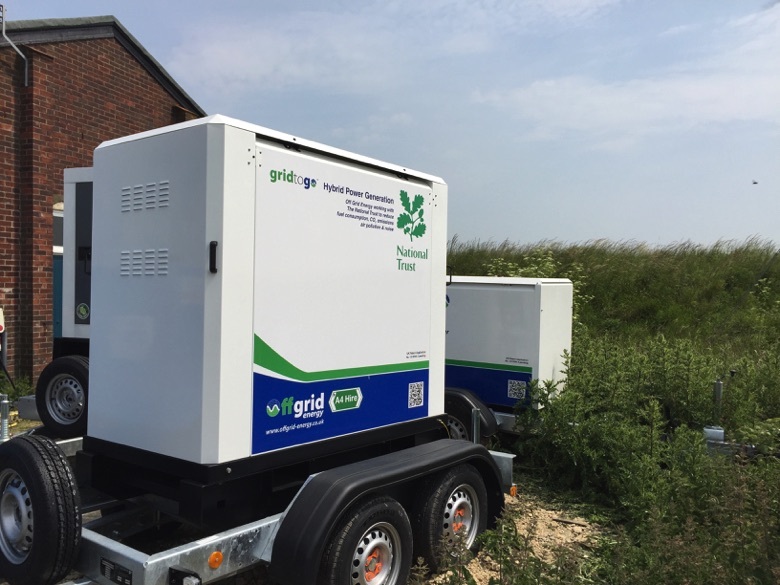 Our three-phase range deliver power outputs ranging from 15 to 180kVA at 400/230V threephase AC with battery capacity ranging between 45 and 300kWhrs. 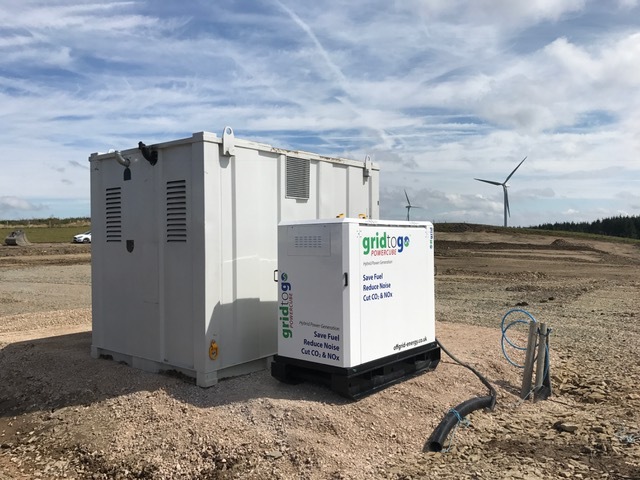 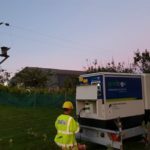 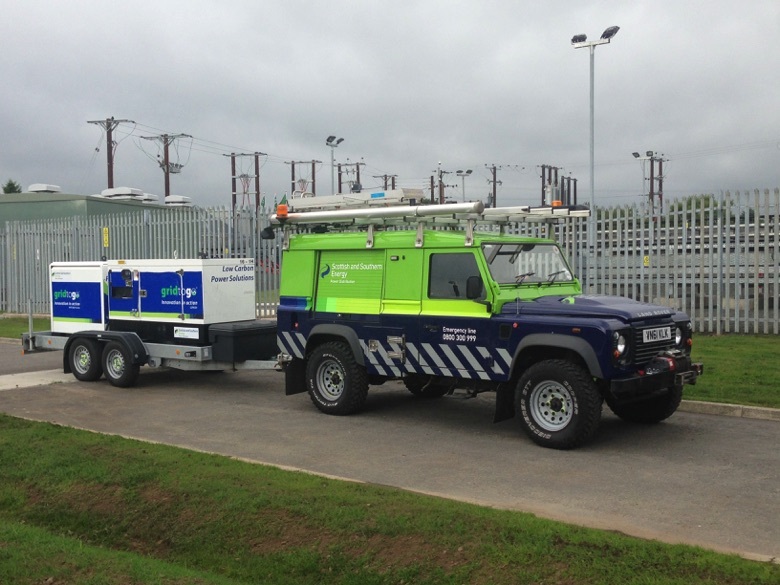 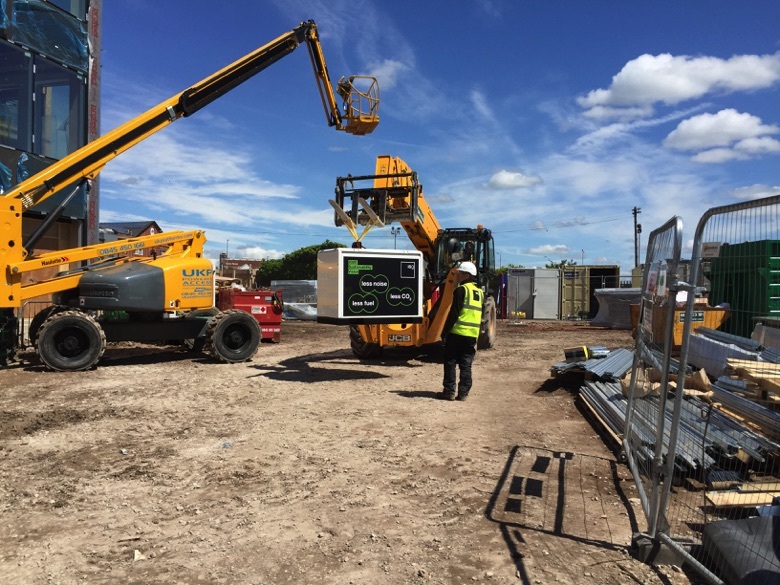 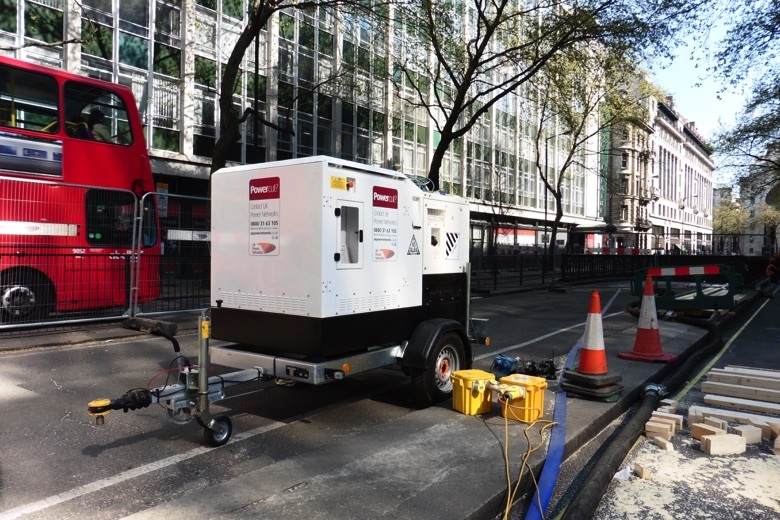 Applications are as diverse as supporting the accommodation, welfare and site loads in construction, tower cranes, large outdoor events, remote pumping, multiple EV charging, telecommunications towers, emergency power for multiple properties amongst many other duties. 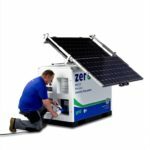 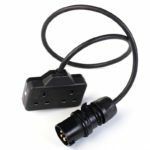 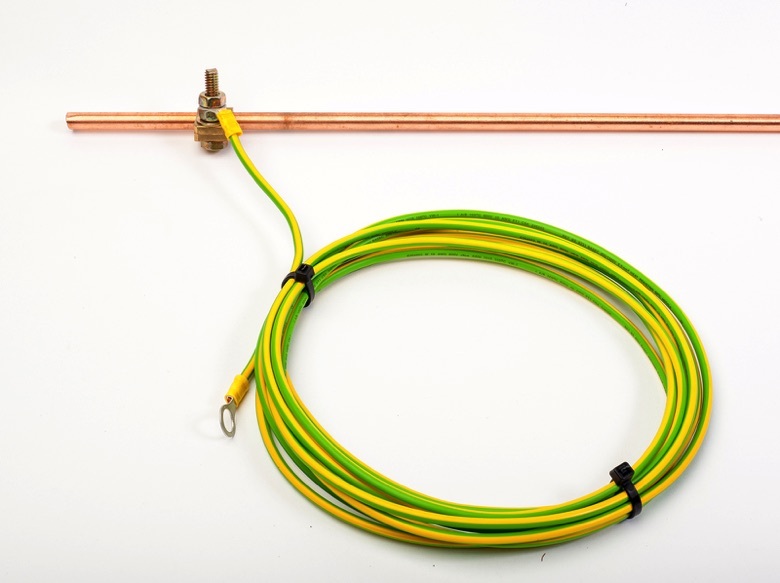 Accessories include solar PV charging kits, earthing, connection and cable sets. Suitable for cascade connection for higher power and capacity. 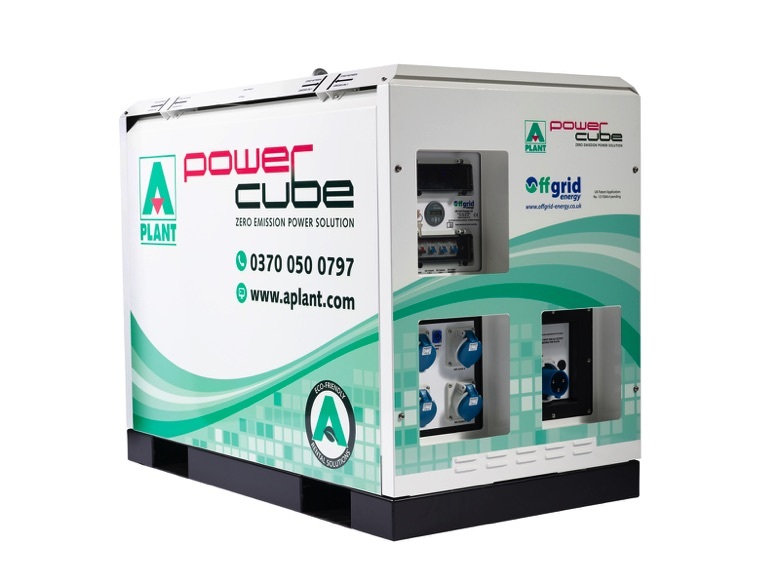 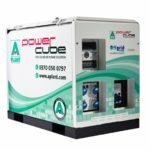 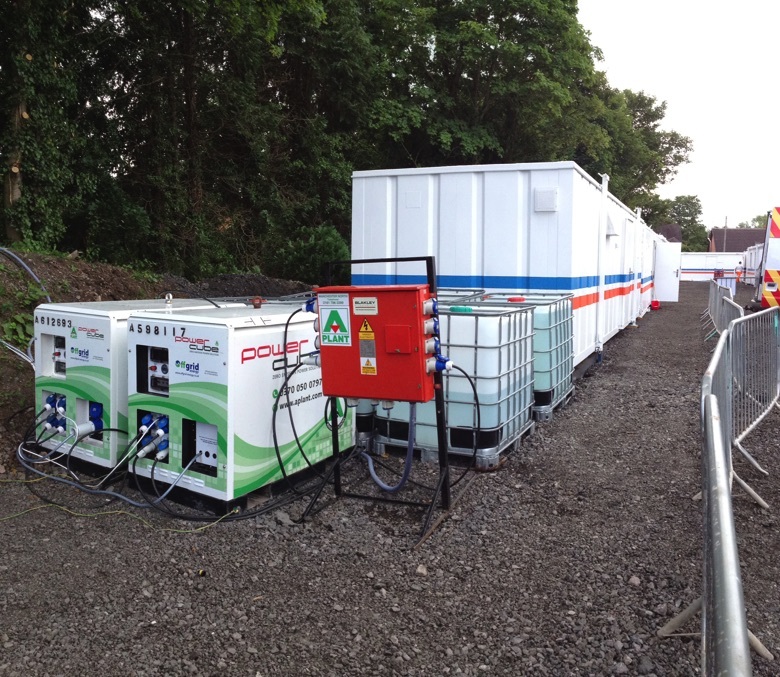 Our range of self contained hybrid power systems offer complete “all-in-one” systems ranging between 10 and 500kVA. 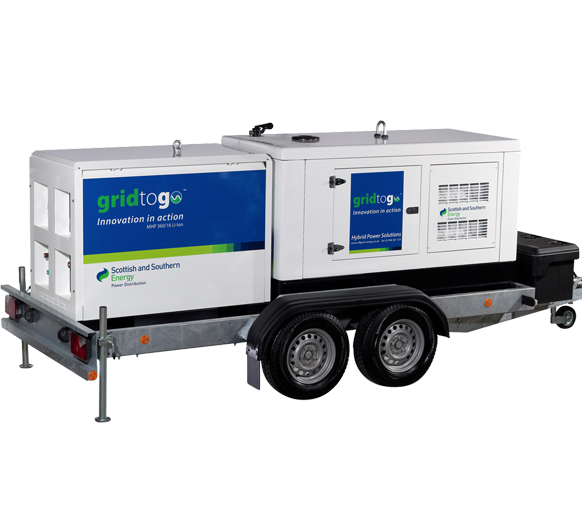 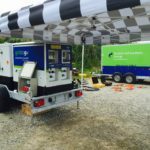 Suitable for quick and easy deployment and capable of long autonomous operation, these systems include diesel generator, high capacity fuel tank, integrated battery storage and automatic remote monitoring systems. 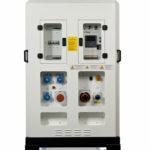 Deliver, plug in, turn on and away you go! 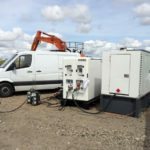 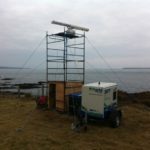 These solutions are commonly used by utilities for longer-term emergency power, in remote telemetry and monitoring applications and other similar situations that are unmanned for long periods or where frequent fuel deliveries are undesirable and costly.